There’s no question that you love your home. You’ve put a lot of time and money into making it beautiful for you and your family to enjoy. One of the home amenities you’re no doubt proud of is your lawn sprinkler. You invested a lot of money installing it, so maintaining it is a priority. But are you doing all that’s required to protect it from winter weather conditions? Budgets are tight these days. We get that. But what you’ll pay to winterize the average home lawn sprinkler system is negligible, when compared to what repairs will cost, if water freezes in your pipes. And it’s not just the cost of repairs you need to think about. It’s the cost of the water you’ll waste if your sprinkler system hasn’t been properly shut down for the winter. The average home sprinkler system will run you between $50 and $150 to winterize. When you think about it, winterization is like an insurance policy. You insure your home against potential disaster, we’re sure. 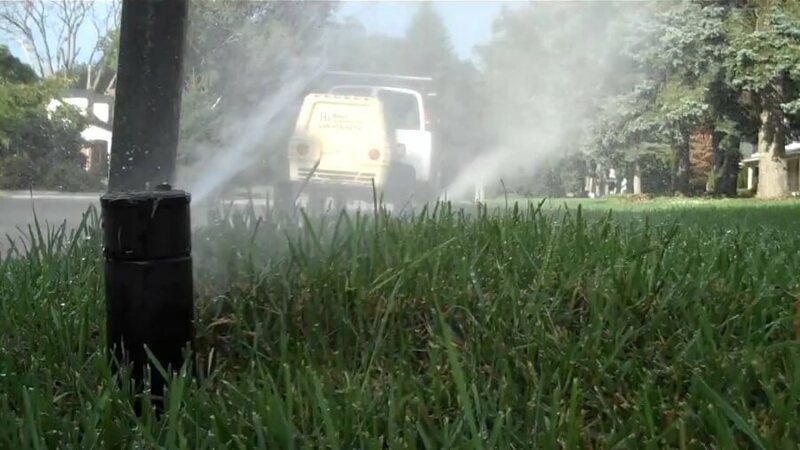 So, why wouldn’t you do the same to winterize your lawn sprinkler now and save in the spring? Consider this post a cautionary tale. Every year, we hear from homeowners who haven’t called in a professional to winterize their sprinkler systems. The results of that failure are nothing short of catastrophic. Turning off the water source isn’t enough. Every inch of pipe, every valve and every component of your sprinkler system needs to be cleared of water. Every single drop of water. That kind of operation means using professional grade equipment to “blow out” your system. An air compressor which is powerful and reliable is the only way to achieve this. Rolling the dice and not taking this vital winterization step means the possibility of pipes rupturing. Many homeowners don’t even shut off the main valve. We can’t imagine anything worse! With water still in your pipes, your water supply is creating a miniature natural disaster – and a huge water bill you won’t be aware of until you read it in mute horror! Even if you’re a DIY enthusiast, leaving an investment as big as your sprinkler system to chance this winter is not an option. You need a professional with the right equipment and experience to get the job done right. The alternative? A winter season disaster that adds up to big bucks in the spring. Broken pipes and damage to your lawn will need to be addressed sooner or later. Isn’t it well worth it to buy a little peace of mind from the professionals at Wetscape, a Royal Irrigation Company? Wetscape, a Royal Irrigation Company brings you more than 20 years of irrigation system expertise and innovation. We’re here to make sure your investment is protected, with professional service and equipment that ensures your lawn sprinkler will be ready to roll in the spring – without a big repair bill staring you in the face.